We have run out of adjectives because the new LEGO MINDSTORMS EV3 is so mind-blowing that even words cannot describe it. After a brief hiatus that has had many LEGO MINDSTORM devotees on tenterhooks, the new MINDSTORM EV3 is well worth the wait. 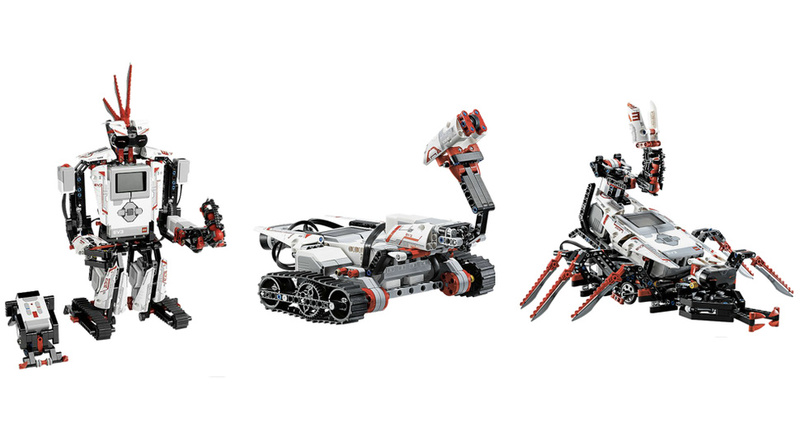 With the most advanced technology that LEGO has ever developed, you can unleash your creative powers and create robots that can walk, think, talk and do anything you can imagine. You can command your robot creations with WiFi, Bluetooth or even your smartphone. The programming capabilities are just as endless as your imagination! Grab the enclosed remote control and take on challenging ready-made missions or download the free app and command your robot using your smart device. You can even join an online community where you can inspire and be inspired by others! The LEGO MINDSTORMS EV3 robot revolution has begun!